True Manila is a project runned by Edwin, who grew up and still lives in Manila, the Philippines. Edwin sees himself as a bridge which connects people who want to help and people who are in need of help. He puts all his leisure time in this project. How does it work? Easy! You contact him on Facebook and he tells you when you can come and help. I met him at his house, where he lives with his wife and two kids. 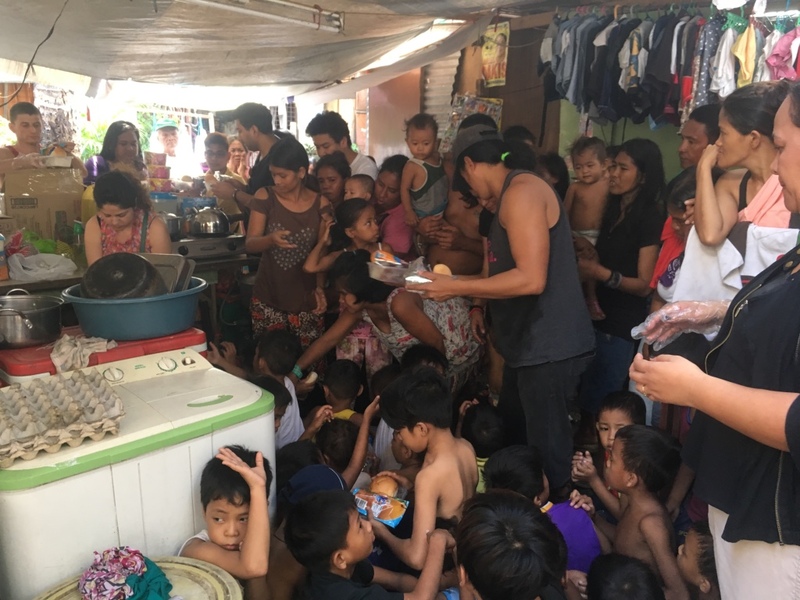 Edwin lives in the San Andres Bukid, one of the poorest areas in Manila, and he knows every kid in his neighborhood and also their stories and needs. 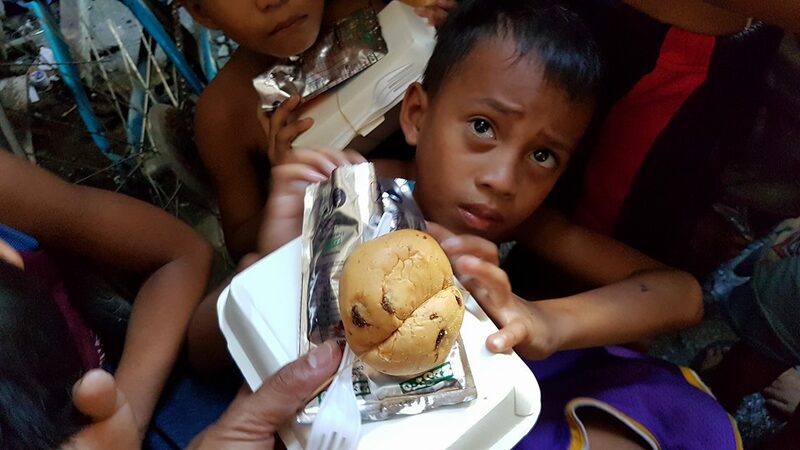 A lot of these kids live on the street, their parents are not able to feed them or they lost their families. 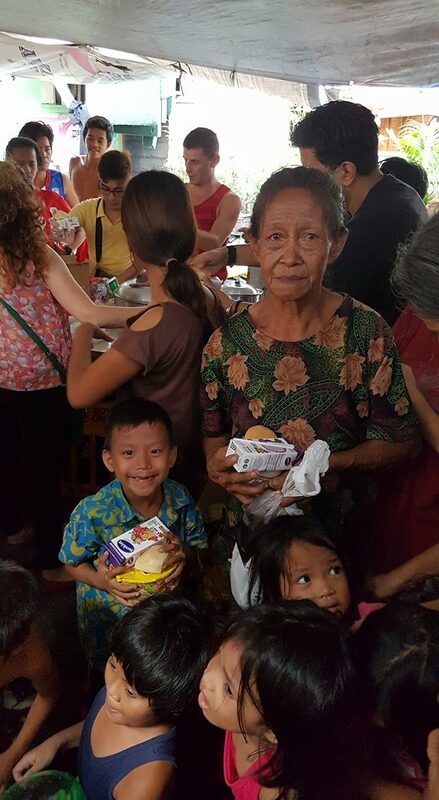 Depending on what you are willing to give, you can go with Edwin and buy food from local sellers, or other things that are needed. To understand why he started this project, you have to take a short look at his life. Edwin’s life story is one of those which sound like a unreal, cheesy Hollywood movie. When he was a kid he met two foreigners on the street and followed them to their house. When they recognized that he was watching them from outside, they opened the door, talked to him and gave him some food. He spent a lot of time on the street and sold newspapers in the evening to make some money. The kind couple found him a few days later on the street and fed him again. 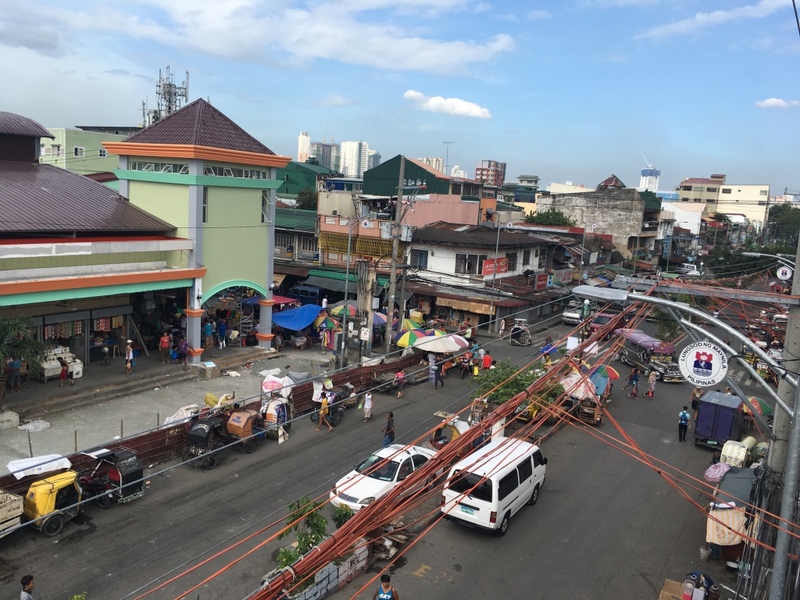 They did that every day for a year till they had to leave Manila. Edwin and the couple stayed in contact and wrote letters to each other. The couple started sending money to the little boy and didn’t stop, even when they didn’t receive an answer in months. Edwin was smart enough to understand, that this help from oversees is an opportunity and went back to school. In the end he even graduated from university. First, I couldn’t believe his story, but then he showed us a video, in which we could see him meeting the kind couple again after 26 years. I had tears in my eyes from his moving story. He is the living proof that kindness can change people’s life. And now he is giving something back and tries to help the kids in his neighborhood by connection people. When I went there I didn’t know what to expect. I arrived with a taxi and the kids were already waiting for me in front of Edwin’s house. They were so happy and friendly the moment I met them. One of the boys took me by my hand and lead me into the house. There was no aloofness or shyness. And what surprised me the most: These kids are poor and hungry, have sad backgrounds and hard lives, but they are open-hearted, trusting and funny. I don’t remember when I felt so much humanity and kindness between strangers for the last time. 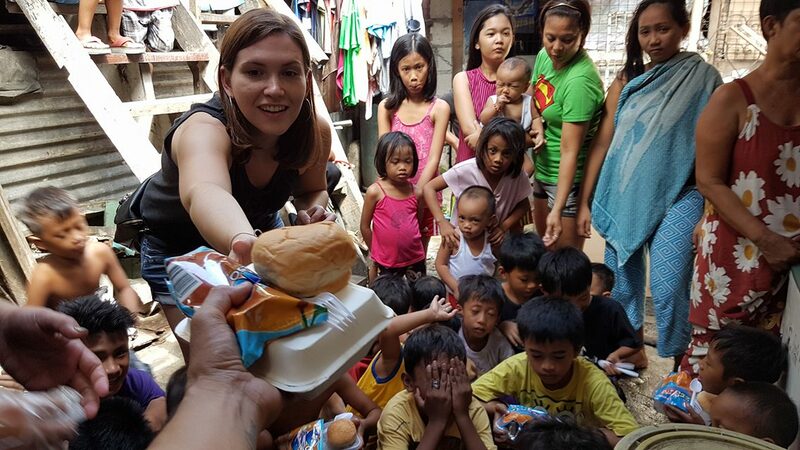 The first day I visited the community, we were able to feed more than 100 kids, because there was a bigger donation of 200 €. It’s my birthday in 2 weeks and if I would be back home I would celebrate it with a nice dinner with my family and too many drinks with my friends. So instead of doing this, I would like to collect the money to buy more food or other stuff that is needed for the kids. If you want to donate, just sent me a message, you can send me the money and I will go with Edwin to the kids and take pictures of it so you can see where your money is going. With only 1 € we can already buy one proper meal for a kid. It would be great if you could help! UPDATE: I was able to collect 450 € from my family and friends back home, and of course I also donated. 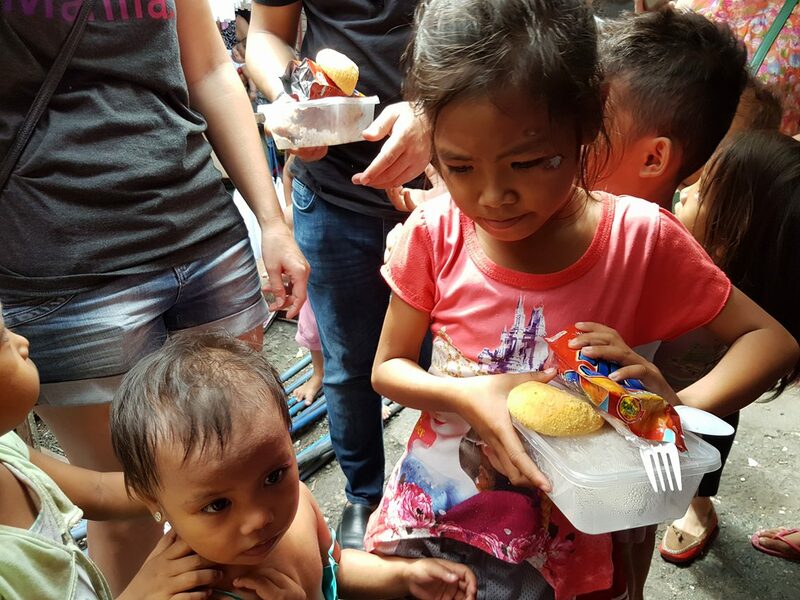 In my second blog about True Manila, I show you the living conditions of the kids, and where and how we helped! Continue reading here: No act of kindness is ever wasted. You want to help or visit the community? For more Information please visit True Manila on Facebook.